After successfully training and working in London for several years, I've been fortunate enough to work across the UK in television, commercials, and fashion, for companies such as the BBC, SKY and National Newspapers, as well as regularly working with photographers in fashion and editorial. Over the year's I have built a wide range of cliental, however, I now specialize in being a part of one of the biggest day's of a Women's life- Their wedding day! 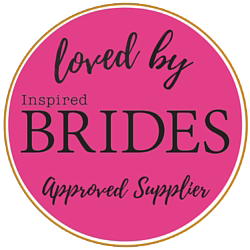 Over 3 years ago I created my little home run business, specialising in naturally beautiful Bridal make up and it was the best decision I could have made. 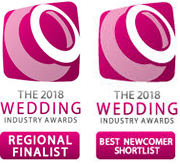 I relocated back to my roots and brought my profession to the Cotswolds, where my ethos of natural make up and a reliable approach to your big day became more and more appreciated. Today I am based in South West London, traveling all over the UK and destination weddings empowering women to feel their most beautiful on their big days- No matter what that may be! My Bridal and Photographic experience, allows my clients to feel that they can be confident I will deliver a highly professional standard and use my in-depth knowledge to create the make up and experience they desire. My ethos is built on being someone who can connect with others, taking the time to listen and understanding how important it is to be understood and really express who you are naturally as this is where real inner confidence comes from and with that said, my way of working with Brides has evolved to something much more than make up.. If you're a bride to be and would like to know more, click Bride to be to find out. ''Christine and her team were fantastic! Totally professional, quick and created amazing looks for myself and my 4 bridesmaids. Communication from the start was amazing, and she put me at ease, explaining each product, and provided a list if i wished to purchase any. ''Christine did my stage make up for my first ever bodybuilding bikini competition. I usually very rarely wear make up and would have been very lost without her. I had no clue where to even start and thanks to Christine I looked so glamorous and absolutely radiant. I could not believe the transformation. Christine was really patient and competent. As I have no experience or knowledge of make up, I asked her to just get on with it, really. I felt in really good hands with her. She was so friendly and knowledgeable. At no point was I worried about the result. However, when the mirror came out and she showed me the make up, I was absolutely blown away!!! I would have never thought I could look that amazing. I presented myself confidently during the show which I owe in part to Christine's great work. She made me look and feel FANTABULOUS! Hi Christine - I would like to thank you for contributing to my wonderful wedding day. From our first telephone call when I briefed you, you made me feel andease and an element of trust was struck up straight away. After our first consultation, I received your blogs, which I loved reading and trying out - it helped me a treat on the run up to our wedding day. My wedding day was wonderful and we have many treasured memories - working with you is definitelya fond memory. and I will definitelyrecommend you - you are a little treasure. I luckily found Christine with just two weeks to go before my wedding, after going to a hair and make up trial with someone else and looking vaguely like a clown. Even my very diplomatic 'husband to be' said I looked better normally! I thought it would be much better to get hair and make up done separately, with specialists for each. Tabitha hairdressing in Stow in the Wold recommended Christine and I'm very glad they did as she did a great job! I wanted to look quite natural and like 'me', just enhanced! I had a cold the night before my wedding and didn't sleep at all. However, having had my hair and make up done, looking good made me feel good, adrenaline kicked in and I had the most fun and joyful day ever! I came across Christine's website and thought how extremely professional it looked. Thank goodness I did. I decided to contact her directly and immediately on the phone felt extremely comfortable with her and knew I wanted Christine to do my make up for my wedding day from simply chatting to her. Christine is so down to earth, knew so much and clearly had brilliant experience. Christine was amazing from the start through to the finish. When I arrived for my trail, I instantly felt at ease with her. I do wear make up but do not really know much about application and so Christine explained everything throughout my trail. She did my make up just beautiful and I did not feel too over the top, I felt like myself. On the morning of our wedding Christine made me feel so special. She was totally chilled, so complimentary to me and all my bridesmaids and did exactly what she said she would but even better than I could have imagined for all of us. Everyone looked beautiful and natural which was what we all wanted. Christine gave me advice, guidance and just was brilliant at making me feel at ease when time was getting closer to the ceremony. I felt literally like a princess and was over the moon with my make up. I only felt bad I did not have enough time to explain how incredible she had been personally (it all was a little rush to get to the ceremony as it took us a while to all get dressed) so want to thank her personally now for being so incredible to have around on the morning of our wedding. This lady is beautiful literally inside and out! She a little gem! She also gave me the lipstick that was discontinued I had in my trial as I could not get in for the day so this was just totally lovely of her also. I do not normally ever wear liquid foundation as I feel its too heavy for me but I wore it and my make up literally lasted all day and looked super in terms of matching my skin tone. ''Christine did make up for myself and two bridesmaids on my wedding day in December 2015. From the trial to the day itself Christine was fantastic. She was completely professional; her calm, friendly and flexible demeanor meant she was great to have around on the day. As well as the above Christine is a very talented make up artist. She was very careful to take the time to ask lots of questions around the look I wanted to create. She has a unique skill of being able to understand and visualise requirements and then translate them into picture perfect make up. Out of all of our wedding planning, it was finding a MUA I found most difficult! It was hugely important to us that we connected with our suppliers, and after speaking with a few artists I found something was missing. Then I met Christine! She was fabulous from the very start... treating me as an individual opposed to ‘just another client’, taking into account my style and preferences when it came to make up. Christine understood what it was I wanted to achieve, and providedguidance and ideas to achieve such a special look. She is so sweet and approachable, nothing was too much bother!! On the morning of the wedding Christine was a dream to have around -and everyone commented on this - including my bridesmaids who she helped to get dressed!! I feel so lucky to have had her with us during such an occasion, my make up was more than I could’ve hoped for - and as I look back over pictures I am certain I made the right choice! Really listened to what I wanted whilst also putting on her own subtle touches & was thoroughly pleased with the result ! Make up lasted all day and had lots of comments on it! Would thoroughly recommend to anybody. Christine was really amazing - from the trial (the day after my hen do) to the make-up on the day and a few changes I asked to make - nothing was too much trouble. Having Christine with us on the morning was wonderful and she understood what we were each looking for! I couldn't be happier!! ''Christine was a pleasure to work with from the very point of contact. From her flexibility in meeting locations for the trial makeup to adding additional 'faces' on the wedding day Christine was always composed, reassuring, professional and the finished results were all exceptional. At the every end of the day Ruth and the entire wedding party still had a polished finish, even though the weather was very warm and the evening very long ;). I would strongly recommend Christine to all of my brides in the future even if they are not based in the Cotswold area. As someone who doesn’t wear makeup day-to-day, meeting Christine at a wedding fair I could see already from her work that she would create the natural look I was after for the wedding. She has a brand new and lovely room to do trials and creates such a lovely, relaxing atmosphere whilst helping create the look you are happy with. The same was true for the wedding day itself, I really enjoyed being able to relax and know she was taking care of my make-up. She also stepped in to help make sure my hair and veil were sorted at the last minute. Thank you Christine! ''Christine did my wedding make up along with my mother, bridesmaids and flower girls on 28 December 2016. Christine is so lovely and professional; she offered advice on how to keep my skin nice ready for the big day, in addition to some really useful blogs that she'd written. Christine also gave me a list of products she used during our trial so that I could purchase the lipstick in advance to have on hand. A huge thank you to Christine for doing such an amazing job on my make up for my wedding in June. I was struggling to find eye make up to suit me and Christine was so helpful with this and finding the right colours to suit me. Christine was an absolute dream to work with from the initial enquiry, through to the extended bridal skin care consultation with make up trial, to the individual eyelash extensions all the way through to The Big Day itself. I cannot recommend the extended trial with skin care consultation any more if I tried. 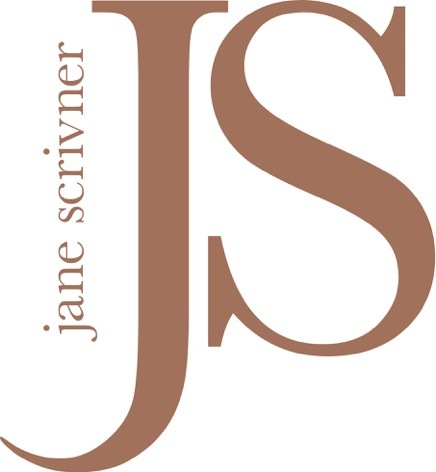 I am lucky that my skin has never been a huge issue, but the addition of the Jane Scrivner range made a visible ‘wow’ impact within a few days of starting to the use the products. Even my dad noticed the difference and that is saying something! I am now converted and they will be products for life! Even the eyelash extensions a few days before the big day in Christine’s relaxing make up room provided a tranquil setting for a little nap in the inevitable build up of craziness pre wedding!! The wedding make up end result felt flawless and most importantly lasted all day even until 5am....that was over 17 hours after it was applied! Christine is a true professional and her attention to detail is second to none. In my eyes Christine is the absolute definition of ‘perfection’ in terms of a wedding make up artist and anyone who uses her services will definitely not be disappointed. I categorically felt like a princess for the day and Christine was fundamental in acheiving that. I am just trying to find an occasion to use her again!!! So thank you from the bottom of heart! Christine was a pleasure to work with from the very point of contact. From her flexibility in meeting locations for the trial makeup to adding additional'faces' on the wedding day Christine was always composed, reassuring, professional and the finished results were all exceptional. At the every end of the day Ruth and the entire wedding party still had a polished finish, even though the weather was very warm and the evening very long ;). I don't often wear make-up and was quite apprehensive but, from the first moment I met her, Christine was so reassuring. She is such a warm, lovely person. I had a facial at the trial and this has completely changed my skin-care routine - I now use Jane Scrivner and have noticed such a difference in my skin. I chose to have eyelash extensions a few days before the wedding (and I'm so glad I did, as I cried through the whole ceremony! ), and they made such a difference to my look. Christine was so flexible and looked after my sister and mum on the day, too. She even popped my earrings in for me, as the time disappeared in the last half an hour! I would absolutely recommend her, I honestly couldn't imagine having anyone else. Christine has done a fantastic job as a MUA on my wedding day. Living in Switzerland communication could have been difficult with someone else, but Christine has been in contact with me from my first email, over phone calls to meeting her in person (trial & wedding day). It is obvious she has a profound knowledge of her profession, the make-up industry and a very wide range of products. As I only use cruelty free make up Christine has applied a fantastic make-up using only the products I can agree with. I looked for a MUA who can do natural looking make-up that suits a wedding affair. I really like her webpage as it reflects who Christine really is: a very modest and knowledgable MUA who dedicates her everything for this profession. What I like in particular about her website is that she also talks about beauty from within and what things you can do to feel & look good. I can highly recommend her. I just wanted to say a big thank you to you for doing such a beautiful job with my makeup- I am a very fussy person and you made it a very stress-free experience!! Thank you also for your support on the morning of the big day, from helping with the dress (which was definitely not part of your job description) to the croissant, that was definitely a good call!! You were very professional and a joy to share the morning of the day we will always cherish. I shall write a little something on Facebook in the next couple of days.